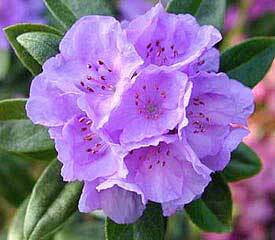 Flower/Truss Description: Broadly funnel shaped, small, lavender-blue, blue-purple, to bright pink, rarely white. Inflorescence 4-8 flowered. Foliage Description: Leaves elliptic to oblong, up to 1½" long.